This is the second time I have ordered this liner, and I do like it enough to keep purchasing it. I just wish that the tip was more flexible. I can't seem to get a nice "swoosh" in a single stroke. My lines are shorter and a bit thicker for my liking with this particular product. It does stay on pretty well afterwards. The Eyeko Skinny Liquid Eyeliner is amazing! My favorite feature has to be that it is a gentle formula, if I get some in my eye it does not burn or irritate my eyes, as I have had that problem with many other brands. It also has great pigment, long-lasting wear, and easy application tip! I would highly recommend! 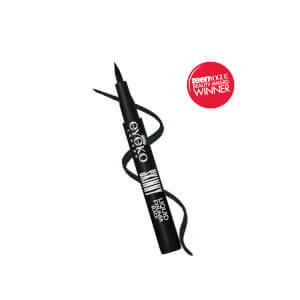 Eyeko’s skinny liquid liner is the only eyeliner I ever want to use again! It’s blacker than black, stays put, smudge resistant, great for points, and designs! Goes smooth and easy. One pen lasts me months, its well worth it’s price. This has to be the finest eyeliner I’ve ever had the pleasure to use and I love the way it stays on all day wear. Eyeko is my favorite eyeliner by far. This eyeliner is great! 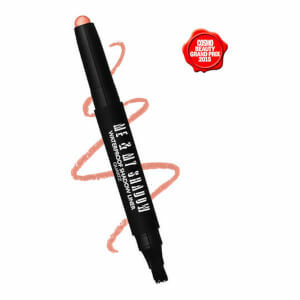 It goes on smooth, lasts all day, and doesn’t smudge easily. The only thing I’d like to see, being a blonde, is the ability to get it in brown, like the other commenter mentioned! This product is amazing and goes on easier than any other liner, but black looks awful on me and, IMHO, on most people. Why no brown? I have tried numerous eyeliners and this is the best!!! Goes on so easy and does not smear. Love, love, love it! This eyeliner is perfect if you are going for a skinny line or a bold line. I have had the travel size for months now, and even after using it every day there are no signs of it running out! This is my favorite eyeliner! I have tried more eye liners than I would like to count, mostly because I was pretty much throwing money away. They were either not black enough (despite label), smudged, so big it was hard to use, so small it was harder to use, and more. 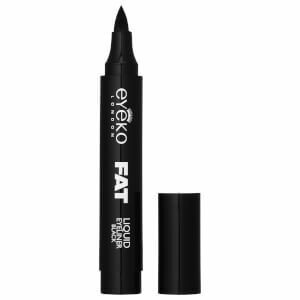 I finally came across Eyeko Skinny Liquid Eyeliner and their other regular Eyeliner, game changer. I cannot imagine using anything else. I was in a pinch after my eyeliner went dry (which takes a long time), and decided to try the Kat Von D one, I hated it and have not looked back since. The great thing about Eyeko is that you always get a free gift with purchase that's a great quality product. I probably tried over a dozen of eyeliners until I came across Eyeko and fell in love with it. 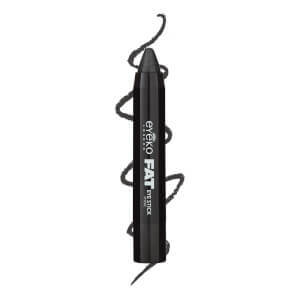 This eyeliner stays on for a long time, it doesn’t smudge, and the tip of the liner is perfect.